Draft: 2007, Cincinnati Reds, CAth rd. Todd Brian Frazier graduated from Toms River (NJ) South High School in 2004 where he played baseball and was also a four-year starter on the basketball team...Set a school record with 27 rebounds in one game...Was a member of the Toms River team that won the 1998 Little League World Series Championship...Went 4-4 with a home run in the championship game vs. Japan and also recorded the last out as a pitcher...Attended Rutgers University...Was the pre and post-season Big East Player of the Year in 2007...His 22 home runs in 2007, tied for fourth-most in the NCAA, set a single-season school record...He is still Rutgers all-time leader in career home runs (42) and runs scored (210)...His brother, Jeff, was selected by the Detroit Tigers in the third round of the 2004 First-Year Player Draft...He reached the majors in 2010 and played nine career major league games with the Tigers...Todd served as an analyst for MLB Network's postseason coverage following the 2013 and 2015 seasons...Worked for TBS' postseason coverage following the season in 2014...In 2013, he designated the Baseball United Foundation's Grand Slam for Sandy fundraising effort as the recipient of a $10,000 grant from the Major League Baseball Players Trust...The donation was part of a $20,000 charitable contribution he received for being named the 2012 NL Outstanding Rookie in the Players Choice Awards balloting...Won the 2016 Heart and Hustle Award presented by the MLB Players Alumni Association to honor an active player who demonstrates a passion for the game and best embodies the values, spirit and tradition of the game...In 2016, he and his brothers Charlie and Jeff and the USABL launched the Frazier Elite World Series for 16U and 18U teams...He and his wife, Jackie, have three children: Blake, 4; Kylie, 3; and Grant, who was born during the 2018 offseason. Spent time on the Disabled List for the first time in his career in two separate stints, May 8-June 2 (left hamstring strain) and July 9-August 2 (left rib cage muscle strain)...In his first season with the Mets, appeared in 115 games, making 108 starts at third base...Hit his first two homers as a Met on April 13 vs. Milwaukee...Was his first multi-homer game since June 30, 2017 vs. Texas while playing for the White Sox...Became the 11th player whose first two homers for the Mets came in the same game and the first since Rod Barajas in 2010...Research courtesy of Elias...Drilled his fourth career grand slam in the first inning on August 29 at Chicago-NL...Drove in a season-high five runs in that game...Connected on his third career walk-off home run on September 13 in game one vs. Miami...Was his first walk-off hit and RBI since August 25, 2016 with Chicago (AL) vs. Seattle...Was his sixth-career walk-off RBI. Batted .213 (101-474) with 19 doubles, 27 home runs, 76 RBI, a career-high 83 walks and a career-best .344 on-base percentage in 147 combined games between the White Sox and Yankees...Opened the season with the White Sox before being acquired by the Yankees on July 18 along with righthanded pitchers David Robertson and Tommy Kahnle in exchange for righthanded pitcher Tyler Clippard, lefthanded pitcher Ian Clarkin and outfielders Blake Rutherford and Tito Polo...Scored four runs on August 9 at Toronto, matching his career-high (second time)...Reached base safely in a season-best 15 consecutive games from September 7-24, posting a .448 onbase percentage with 10 hits and 12 walks...Hit safely in a season-high nine straight games from April 23-May 2, hitting .313 (10-32) with two home runs, nine RBI and nine runs scored. Played in each of the Yankees 13 postseason games...Went 8-43 (.186) with two doubles, one home run and five RBI. American League Leaders: 6th-HR (40). Was named the winner of the Heart and Hustle Award, presented by the MLB Players Alumni Association to honor the active player who demonstrates a passion for the game and best embodies the values, spirit, and tradition of the game … became the first White Sox player to win the award. Set career highs with 40 home runs, 98 RBI, 89 runs scored and 64 walks in his first season with the Sox … joined Jim Thome (42 in 2006) as the only players to hit 40-plus home runs in their first season with the club. Became the seventh player (12th time) in Sox history to hit 40 home runs, the first to record 40 homers and 15 stolen bases in a season and the first since Jorge Orta in 1976 to lead the club in home runs and steals (STATS). Fell two RBI short of becoming the sixth White Sox (11th time) to record a 40 HR/100 RBI season … would have joined Frank Thomas (five times), Paul Konerko (twice), Albert Belle (once), Jermaine Dye (once) and Thome (once). His 40 home runs were the most in White Sox history by a third baseman, and his 15 stolen bases were the most by a Sox third baseman since Orta in 1976 (24) … 39 of his 40 homers were hit as a third baseman, breaking the franchise record of 33 set by Bill Melton in 1971. His 24 homers on the road tied Frank Thomas (1996) for the second-highest total in Sox history … Thomas holds the record with 25 in 1995. Made 149 starts at third base, third-most in the AL, and compiled a .972 fielding percentage (11 E/395 TC) ... Homered in consecutive games eight times. Connected on a go-ahead, three-run home run in the fifth inning on 4/5 at the A's, his first with the Sox … hit a solo home run in the home opener on 4/8 vs. Cleveland. Hit a game-tying home run in the eighth inning on 4/23 vs. Texas, a game-winning, two-run double in the seventh on 4/25 at Toronto and a go-ahead, two-run homer in the eighth on 4/29 at Baltimore. Connected on a game-winning grand slam in the 12th inning on 5/9 at Texas … the slam was the third of his career and second home run of the game (seventh multihomer effort). The game-winning grand slam was the first by a White Sox player in extra innings since Alex Rios on 9/10/11 vs. Cleveland … joined Happy Felsch (9/30/1916 at Cleveland) as the only Sox in history to hit a slam in the 12th inning or later (Elias). Also established a career high with six RBI and matched his career high with four hits (fourth time) in the win at Texas … the four-hit, two-homer, six-RBI game was the first by a White Sox since Carlos Lee on 9/29/04 at Detroit. Drove in three runs on 5/11 at the Rangers … his nine RBI tied the franchise record over a two-game road span and tied for the third-most in any two-game span since 1920 (STATS) ... Hit a solo home run on 5/11 at the Rangers before leaving the game in the fourth inning with a lower lip laceration suffered while attempting to catch a foul ball in the stands. Homered in consecutive games for the first time in 2016 on 5/22 vs. Kansas City and 5/23-1 vs. Cleveland … followed Melky Cabrera's grand slam with a solo homer on 5/27 at Kansas City, Chicago's first back-to-back home runs in 2016. Joined Thome (20 in 2006), Thomas (20 in 1994) and Adam Dunn (16 in 2012) as the only White Sox to hit 16-plus home runs before the start of June (Elias). Hit a game-tying solo home run in the seventh inning off Jacob deGrom on 6/1 at the Mets (Sox won, 2-1) … connected on his AL-leading 20th home run on 6/21 at Boston. Recorded his second game of the season with three-plus hits on 7/4 vs. the Yankees, going 3-3 with two doubles, one RBI and two runs scored … hit his 24th homer on 7/8 vs. Atlanta ... Hit his 25th home run on 7/9 vs. Atlanta, tying Adam Dunn (2012) and Jermaine Dye (2006) for the sixth-most in franchise history prior to the break. Finished second to Giancarlo Stanton at the Home Run Derby in San Diego … was outhomered by Stanton, 16-15, in the finals after defeating Carlos Gonzalez (13-12) in the quarterfinals and Adam Duvall (16-15) in the semifinals … advanced to the finals for the third consecutive year (2015 winner). Joined Jermaine Dye (2006), Paul Konerko (2002), Frank Thomas (1994-95) and Carlton Fisk (1985) as the only White Sox to compete in the derby ... Homered in three straight games for the first time in his career on 7/18-20 at Seattle … hit a three-run homer on 7/25 vs. Cubs. Connected on his second extra-inning homer of the season on 8/9 at Kansas City, a three-run homer in the 10th off Kelvin Herrera … delivered his fifth career game-ending hit on 8/25 vs. Seattle, a ninth-inning single off Nick Vincent. Hit his 34th home run as a third baseman on 9/1 at Minnesota, breaking Bill Melton's club record of 33 set in 1971. Connected on his career-high 36th homer in the eighth inning on 9/12 vs. Cleveland … the home run capped the White Sox scoring a run in every inning for just the second time in franchise history (also 5/11/49 vs. Boston). Compiled a season-high, 12-game hitting streak from 9/16-28, going 18-46 (.391) … hit a game-winning, solo home run in the seventh inning on 9/28 vs. Tampa Bay, his 40th of the season. Established career highs in virtually every category, including doubles (43), home runs (35), RBI (89) and at-bats (619) while being honored as a finalist for the Gold Glove Award. ... Ranked among the National League leaders in at-bats (1st), doubles (T2nd), extra-base hits (3rd, 79), home runs (4th), total bases (4th, 308), home run ratio (6th, 17.7), slugging percentage (10th, .498), RBI (11th) and OPS (19th, .806). ... Was one of four players in the major leagues to record at least 40 doubles and 35 home runs, joining Yoenis Cespedes, Josh Donaldson and Nolan Arenado … became the second player in Reds history to accomplish the feat (Frank Robinson, 1962) and the 79th in major-league history. ... Joined Tony Perez (twice) and Deron Johnson (once) as the only players in Reds history to hit 30 home runs in a season while playing primarily third base … became the first Reds third baseman with consecutive 25-homer seasons since Chris Sabo in 1990-1991. ... Led the NL in doubles through games of 9/25 but was tied and eventually passed by St. Louis' Matt Carpenter on 9/26 … was 1 of only 14 players in the major leagues with at least 300 total bases. ... Made his second straight All-Star Team and first start … was the starting third baseman for the NL at the 86th All-Star Game, held at Great American Ball Park. ... Led the NL in the first half in total bases (200), doubles (26) and extra-base hits (52), ranked third in home runs (25) and sixth in RBI (57) … his 52 extra-base hits before the break were the second-highest total in Reds history behind Hall-ofFamer Johnny Bench (54 in 1970). ... Became the first Cincinnati player and the 14th in majorleague history to record at least 26 doubles and 25 home runs in the first half. ... Won the Home Run Derby, defeating Prince Fielder (14-13), Josh Donaldson (10-9) and Joc Pederson (15-14) … on his final swing of the competition, became the third Reds player to win the Derby (Dave Parker, 1985 and Eric Davis, 1989) and the second player to win it in his home ballpark (Cubs Ryne Sandberg, 1990). ... Was named NL Player of the Week for 5/25-31, his first career weekly award … hit .327 (33-101) with nine home runs and 15 RBI in May and recorded 11 doubles, nine homers and 23 RBI in June. ... Recorded back-to-back multihomer games on 6/16 at Detroit and 6/17 vs. Detroit, the eighth player in Reds history to accomplish the feat and first since Barry Larkin on 6/27-28/91. ... Hit the first two grand slams of his career on 4/21 at Milwaukee (off Mike Fiers) and 6/17 vs. Detroit (walkoff shot off Joakim Soria). ... Played in his 500th game on 5/3 at Atlanta, collected his 500th hit on 6/16 at Detroit and hit his 100th home run on 7/25 at Colorado, a three-run shot off Chris Rusin. ... Hit his 40th double on 9/10 vs. St. Louis to become the fourth player in Reds history with 40 doubles and 30 home runs in a season, joining Frank Robinson (1962), Dave Parker (1985) and Jay Bruce (2013). ... Led off the 10th inning on 9/15 at San Francisco with a solo homer off Sergio Romo to snap a 8-8 tie … hit his 35th home run on 9/19 at Milwaukee. ... As the All-Star Game's ambassador, cast the first "official" ballot on 4/29 to begin the voting. ... Was the Reds' recipient of the Heart & Hustle Award, presented by the MLBPAA to a player who demonstrates the passion, values, spirit and tradition of the game … received his award on 9/6, which Hamilton County Commissioners declared "Todd Frazier Day" for his inspiring performance in the ASG's Home Run Derby. ... Agreed to terms on a two-year contract on 2/7/15. Was elected by his peers to his first All-Star team and became the Home Run Derby's National League champion...was the only player in Major Leagues with at least 29hr, 80rbi and 20sb and became only the seventh player in history to produce those numbers while primarily playing third base (Howard Johnson, Chipper Jones, Alex Rodriguez, Mike Schmidt, Fernando Tatis, David Wright)...joined Chris Sabo (1990, 25hr, 25sb) and Aaron Boone (2002, 26hr, 32sb) as the only third basemen in Reds history, of players whose primary position was 3B, to produce at least 20 homers and 20 stolen bases in a season...led all National League third basemen in overall HR and stolen bases and ranked second at that position in RBI (Wsh's Anthony Rendon, 83)...was rated by managers the third-best defensive third baseman in the league...ranked among all NL leaders in HR (29, T4th), HR ratio (20.6, 6th), apps (157, T6th) and at bats (597, 8th)...established career highs in most statistical categories, including games, HR, RBI and stolen bases...led the team in homers and multi-hit games (44), tied Devin Mesoraco for the club lead in RBI and ranked second to Billy Hamilton in steals...hit 8 homers in June, a career-high for any calendar month and tied with Andrew McCutchen and Marlon Byrd for the National League lead...made 118 starts at 3B and 37 starts at 1B...led the club with 49 starts batting second in the order but also hit third (54gs), fourth (14gs), fifth (28gs) and sixth (10gs)...in his last 47 apps of the first half beginning 5/26 hit .314 (10hr, 26rbi, 10sb)...as the Reds' first All-Star Game Home Run Derby participant since Ken Griffey Jr. in 2000, advanced to the ?nal as the NL's champion but lost to 2-time winner Yoenis Cespedes of the Athletics...on 4/13 vs StL produced his only 2-homer game of the season...from 4/29-5/15 hit .321 (3hr, 11rbi) during a career-high 14-game hitting streak, the longest by a Reds batter all season...ended the 4-3 win on 5/4 vs Mil with a 2-out, RBI-double in the 10th inning off Tyler Thornburg...in the 15th inning of the 4-3 win on 5/19 at Wsh snapped the 2-2 tie with a 2-run HR off Ross Detwiler...on 5/26 at LAD led off the eighth inning with a double to break up Hyun-Jin Ryu's perfect game...on 6/23 at Cubs produced his 200th career RBI. Led the club with 140 starts at 3B and made 1 start in LF (7/23 at SF)...as the Reds battled for a Wild Card playoff berth produced 4hr and 8rbi in his last 13 apps of the season...his career-high 42-game errorless streak from 4/23-6/13 was the longest by any third baseman in the Major Leagues to that point in the season...in the 1-0 win on 4/24 vs Chi off Jeff Samardzija became the first Reds batter to homer in a 1-0 win since Sean Casey did it on 8/26/04 vs StL off Chris Carpenter...from 6/1-6/5 produced 2 hits in 5 consecutive games (10-20, .500), the longest multi-hit streak of his career...in the 15-0 win on 4/5 vs Wsh teamed with Zack Cozart to become the first shortstop/third base tandem in franchise history, dating back to 1869, to each produce 2 home runs in the same game...they were the first set of SS/3B to homer twice in the same game for a National League team since Jackie Hernandez and Richie Hebner did it in 1971 for a Pirates team that would go on to win the World Series...his 5 doubles in the 4-game series at SF from 7/22-7/24 were the most in a series by an opposing player at AT&T Park...his career-high 0-for-31 skid from 7/26-8/7 was the longest by a Reds position player since Drew Stubbs' 0-for-32 skid from 6/27-7/6, 2012...snapped that skid on 8/9 vs Oak, when he produced 2 hits, a walk and 3 runs scored...on 8/7 vs Oak made his first career start batting second in the order and made 16 of his next 17 starts batting in that spot until Brandon Phillips returned there on 8/28...in the seventh inning of the 1-0 win on 9/3 vs StL produced an RBI-double for the game's only run. Was voted by his peers a Players Choice Award as the National League's Outstanding Rookie, finished third in the BBWAA's NL Rookie of the Year voting and was named to Baseball America's All-Rookie team ... in the Triple Crown categories among rookies ranked 10th in hitting, third in HR and second in RBI ... was NL Rookie of the Month for August (.330, 6hr, 25rbi) ... his 13 homers as a third baseman were second-most ever by a Reds rookie while playing that position (Grady Hatton, 14hr in 1946) ... filled in at 1B and at 3B while Joey Votto and Scott Rolen were injured ... from 5/12-6/17 started at 3B in 28 of the 34g Rolen missed and in 31 apps overall in that span hit .260 (6hr, 19rbi) ... from 7/16-9/3 started at 1B in 35 of the 48g Votto missed and hit .323 (6hr, 25rbi) ... during that second stretch, from 8/17-8/24, produced a career-high 9-game hitting streak (14-32, .438, 3hr, 10rbi) ... from 8/8-9/8 reached base safely in a career-high 30 consecutive games, the longest by a Reds batter in 2012 (.339, 7 2b, 1 3b, 5hr, 20rbi, .967ops) ... overall made 36 starts at 1B, 66 starts at 3B and 7 starts in the OF ... entered 2012 with 1 career appearance at 1B, a start on 7/25/11 vs NYM ... as a pinch hitter went 6-for-12 ... in his first 5 pinch-hit apps of the season RBI-tripled, doubled, singled, RBI-tripled and walked ... on 4/20 at Chi became the first Reds pinch hitter to triple (RBI-triple off Rafael Dolis) since Chris Dickerson did it on 4/16/10 at Pit (Octavio Dotel), then did it again on 4/27 vs Hou (RBI-triple off Wandy Rodriguez) ... in the 6-3 win on 5/16 at NYM produced his first career 2-homer game (solo off Johan Santana, 2-run off D.J. Carrasco) and tied his career high with 3rbi ... in the 2-1 win on 5/23 vs Atl snapped the 1-1 tie with his first career walkoff HR (off Cristhian Martinez) ... was only the third walkoff HR by a Reds rookie since 1984 (Jay Bruce, 5/31/08 vs Atl & Drew Stubbs, 8/20/09 vs SF) ... in the 10-inning, 6-5 win on 6/8 vs Det was scratched from the lineup with back spasms, pinch hit in the eighth inning and produced an RBI-double off Jose Ortega that tied the score at 5-5 ... in the 2-1 walkoff win on 9/27 vs Mil, in the Reds' final regular season home game, homered with 2 outs in the ninth off John Axford to tie it at 1-1 ... in the first inning of Homer Bailey's no-hitter on 9/28 at Pit drove in the game's only run (sac fly) ... on 9/30 at Pit started in RF in his first career appearance at that position, then also played LF and 3B ... in the Division Series vs SF made 4 apps, including a start at 3B in Game 4 (0-3, 1rbi, 1bb) ... began the season at Louisville ...was optioned there the day before Opening Day, after the Reds claimed off waivers from the Orioles RHP Alfredo Simon ... was the club's final roster move before Opening Day ... in spring training led the club in apps (27), runs (12), total bases (38), home runs (5) and RBI (15) ... was recalled on 4/17, when Miguel Cairo went on the disabled list, and spent the rest of the season in Cin ... was the club's nominee for the Robert Clemente Award for his positive contributions on and off the field. In his Major League debut made 41 apps and 27 starts during 2 stints with the Reds...amongall National League rookies ranked T8th in homers...as one of the club's most versatile players appeared ingames at 1B (1g, 1gs, 7/25 vs NYM), 2B (2g), 3B (27g, 24gs), SS (2g) and LF (4gs, 2gs)...had 6 hits in hislast 15 at bats of the season (.400)...was recalled from Louisville on 7/22 to fill the roster spot of disabled3B Scott Rolen...began the season with the Bats and hit .293 in 44 apps before he was recalled on 5/23 aspart of 4 transactions that day...that night at Phi made his Major League debut in a pinch-hitting appearance(struck out, Michael Stutes)...returned to Louisville the next day...was recalled again on 7/22, when Rolen was disabled again, and spent the rest of the season with the Reds...on 7/22 vsAtl recorded his first Major League hit, a single off Scott Linebrink...on 7/23 vs Atlmade his first start, played 3B and recorded his first career RBI, a 3-run double offChristhian Martinez...on 7/31 vs SF hit his first career homer (solo off Barry Zito)...inthe sixth inning of the 11-8 win on 9/2 at StL hit his first career pinch-hit HR (solo offChris Carpenter)...on 9/19 vs Hou recorded his first career stolen base...led Louisvillein stolen bases (17)...for the Bats started at 3B (35gs), 1B (17gs), LF (15gs), DH(12gs) and 2B (2gs)...homered twice on 5/8 at Buffalo...produced 2 of Louisville's 8walkoff wins, on 7/4 vs Columbus (fielder's choice) and 7/6 vs Columbus (sacrificefly)...entered the season rated the ninth-best prospect in the organization. Was 1 of 6 players to spend the entire season with Class AAALouisville (Jared Burton, Chad Reineke, Wilkin Castillo, Zack Cozart, Danny Dorn)...was 1 of only 4 players to be on the Bats' active roster all year (Castillo, Cozart, Reineke)...led the club with76 starts in LF but also played 1B (14gs) and 3B (35gs)...homered twice on 5/23 vs Scranton/Wilkes-Barre...from 6/22-6/28 homered in 5 of his 7 apps (5hr, 8rbi)...following the minor league season played for TeamUSA in the COPABE Pan American Games qualifying tournament in San Juan, Puerto Rico (9g, .313, 2 2b,1 3b, 1hr, 7rbi, 2sb)...entered the season rated the organization's No. 1 prospect by Baseball America...on11/19 was added to the 40-man roster. Spent most of the season at Carolina, where he was a SouthernLeague All-Star and Baseball America Class AA All-Star, but also hit .302 in 16apps at Class AAA Louisville...in 135g at the 2 stops combined to hit .292 (45 2b,2 3b, 16hr, 77rbi, 9sb)...played LF (79g), 2B (37g), 1B (15g) and 3B (4g)...led theMudcats in hitting (.290) and ranked sixth among all Reds minor leaguers in thatcategory (.292)...among Southern League leaders ranked second in doubles (40) and extra-base hits (56)...entered the season rated the second-best prospect in the organization by Baseball America, behind only 1BYonder Alonso...was a non-roster invitee to Major League spring training camp. At Class A Dayton and Sarasota combined to hit .291 with 19hr, 74rbi and 12 stolen bases in 130g...played 1B, 3B, SS and LF...ranked among Reds minor league leaders in RBI (4th), batting average (5th) andhome runs (5th)...was a Baseball America high Class A All-Star and was rated by that publication as the 11thbestprospect in the Florida State League...twice named FSL Player of the Week (8/18-8/24, 5/12-5/18)...beganthe season at Dayton...belted a pair of homers on 4/8 vs Ft. Wayne...was promoted to Sarasota on 5/7...hadanother 2-homer game on 5/16 at Clearwater...played for Waikiki in the Hawaii Winter Baseball League (27g,.295, 11 2b, 2 3b, 3hr, 22rbi, 1sb). In 47 apps at rookie Billings and Class A Dayton combined to hit.319 with 7hr and 30rbi...collected 4 hits on 8/10 vs Idaho Falls and again on 8/19 at Casper...was transferredto Dayton on 8/29...hit safely in 5 of his 6 apps for the Dragons...following the season was named the topprospect in the Pioneer League, the seventh-best prospect in the organization and a Baseball America rookieAll-Star...was honorable mention on the Pioneer League All-Star team. April 22, 2019 New York Mets activated 3B Todd Frazier from the 10-day injured list. April 20, 2019 New York Mets sent 3B Todd Frazier on a rehab assignment to Syracuse Mets. April 4, 2019 New York Mets sent 3B Todd Frazier on a rehab assignment to St. Lucie Mets. March 28, 2019 New York Mets placed 3B Todd Frazier on the 10-day injured list retroactive to March 25, 2019. Left oblique strain. August 2, 2018 New York Mets activated 3B Todd Frazier from the 10-day injured list. July 31, 2018 New York Mets sent 3B Todd Frazier on a rehab assignment to Brooklyn Cyclones. July 28, 2018 New York Mets sent 3B Todd Frazier on a rehab assignment to St. Lucie Mets. June 5, 2018 New York Mets activated 3B Todd Frazier from the 10-day disabled list. May 28, 2018 New York Mets sent 3B Todd Frazier on a rehab assignment to Las Vegas 51s. May 8, 2018 New York Mets placed 3B Todd Frazier on the 10-day disabled list. Left hamstring strain. February 7, 2018 New York Mets signed free agent 3B Todd Frazier. November 2, 2017 3B Todd Frazier elected free agency. July 19, 2017 Chicago White Sox traded 3B Todd Frazier, RHP David Robertson and RHP Tommy Kahnle to New York Yankees for Tyler Clippard, LHP Ian Clarkin, CF Blake Rutherford and CF Tito Polo. April 17, 2012 Cincinnati Reds recalled Todd Frazier from Louisville Bats. April 4, 2012 Cincinnati Reds optioned Todd Frazier to Louisville Bats. July 22, 2011 Cincinnati Reds recalled Todd Frazier from Louisville Bats. July 22, 2011 Todd Frazier roster status changed by Cincinnati Reds. May 24, 2011 Cincinnati Reds optioned Todd Frazier to Louisville Bats. May 23, 2011 Cincinnati Reds recalled Todd Frazier from Louisville Bats. March 21, 2011 Cincinnati Reds optioned Todd Frazier to Louisville Bats. November 19, 2010 Cincinnati Reds selected the contract of Todd Frazier from Louisville Bats. January 21, 2010 Cincinnati Reds invited non-roster LF Todd Frazier to spring training. 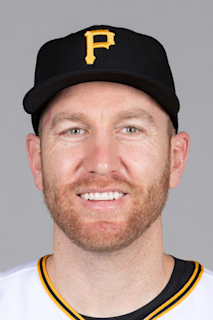 November 11, 2009 OF Todd Frazier assigned to Lobos de Arecibo. August 22, 2009 Todd Frazier assigned to Louisville Bats from Carolina Mudcats.